I have a totally new-to-me brand to share today! This bad boy arrived in the mail (from my awesome aunt!) just moments before I slapped it on my nails. 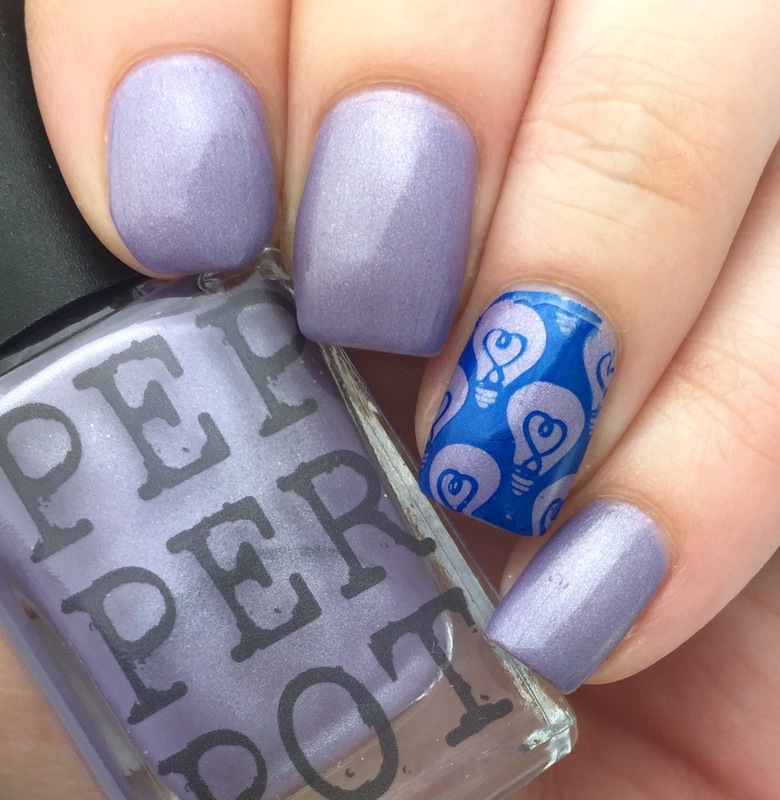 It’s Pepper Pot Polish “Rhymes & Misdemeanors,” a slate-toned purple with silvery shimmer. This is two thin coats. I was really impressed with the viscosity and opacity of the formula- plus it dried super smooth and shiny. Just the kind of thing I love to see when I try new polishes/brands! 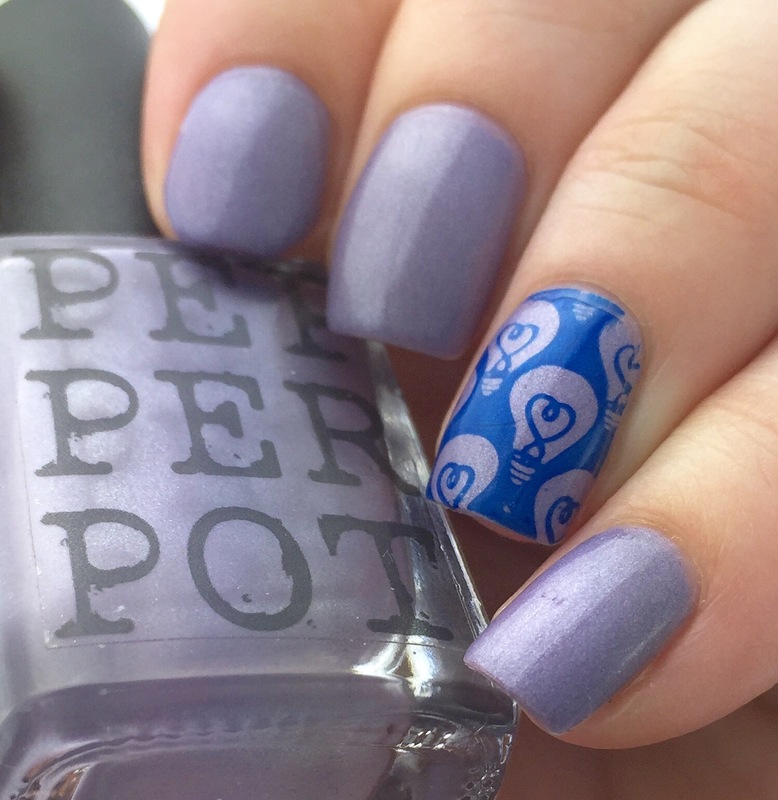 You can find “Rhymes & Misdemeanors” on Pepper Pot Polish’s Etsy store. It looks like there’s an interesting variety of polishes, makeup, and bath products on their site- all at a great price point. Plus Pepper Pot is based in my home state of Washington! (I miss you, you beautiful, rainy gem of a state.) Weee! It’s like meeting another person from WA, which is equally exciting because I live 3,000 miles from the land of drizzle and pine trees. I wore a color very similar to this way back when I got married. Ahh, nostalgia. Oh wow, that’s absolutely beautiful!! Oh my gosh! 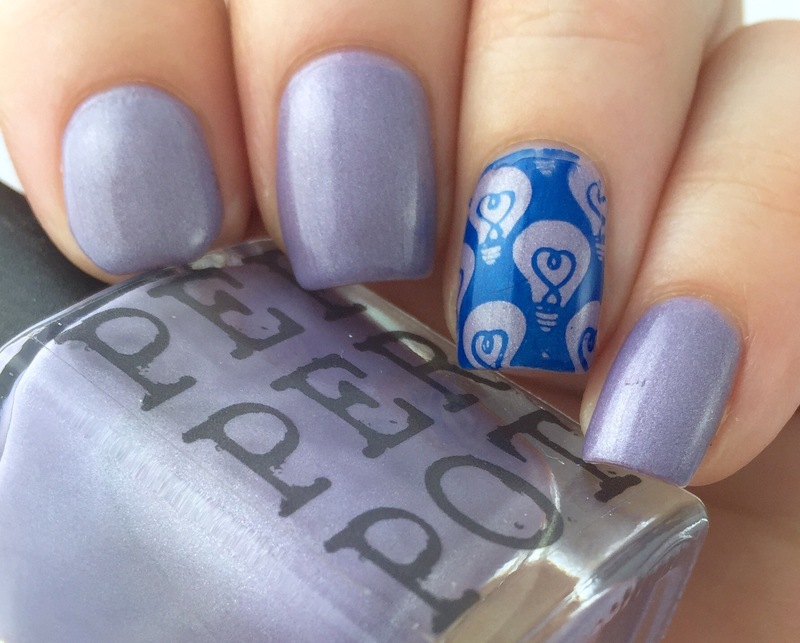 Thank you for featuring my nail polish! I love all of your photos, you do such great work. 🙂 As for games, Acquire has become a friend-group favorite on weekend nights. It’s a real estate game, and basically brings out the worst in all of us when we play, but it’s still super fun. Aw thanks!!! 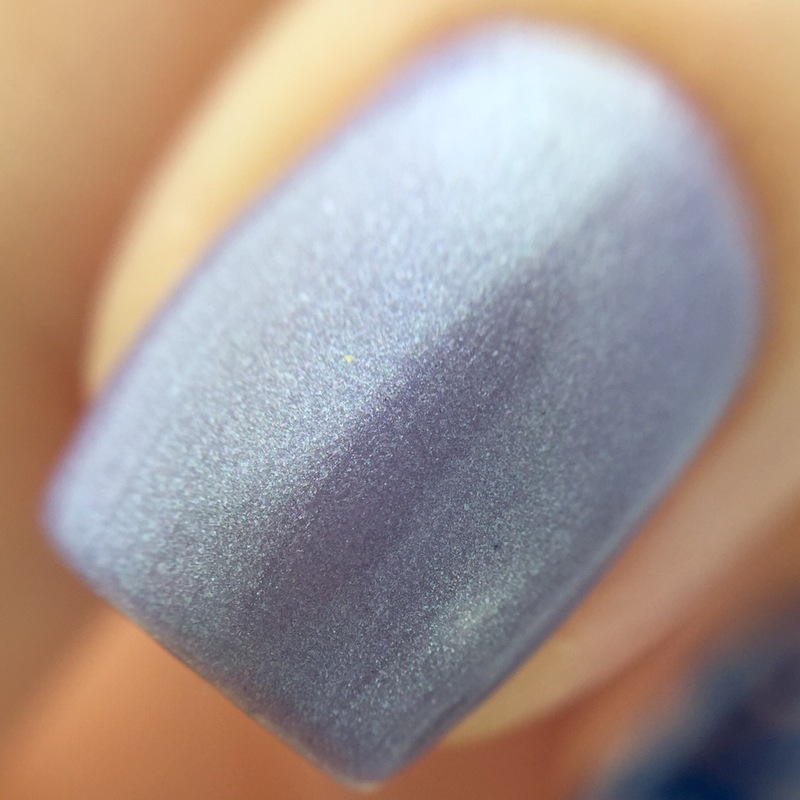 I thought this shade was really cool and the formula top notch! I can’t wait to try more 🙂 I haven’t heard of Acquire yet, but I’ll have to look. Monopoly is banned in our house (we made a guest cry once), so we might need a new real estate game. What a lovely polish! I haven’t heard of this brand before. Me neither until my aunt sent me this shade. I’m thinking of t as six degrees of nail polish Kevin Bacon. This is a new brand for me and I have to say the shade is absolutely lovely. I love what you did on the accent nail though, very cute. Thanks! It’s a new brand for me- and I’m glad the formula was so good (that always makes trying new things better). 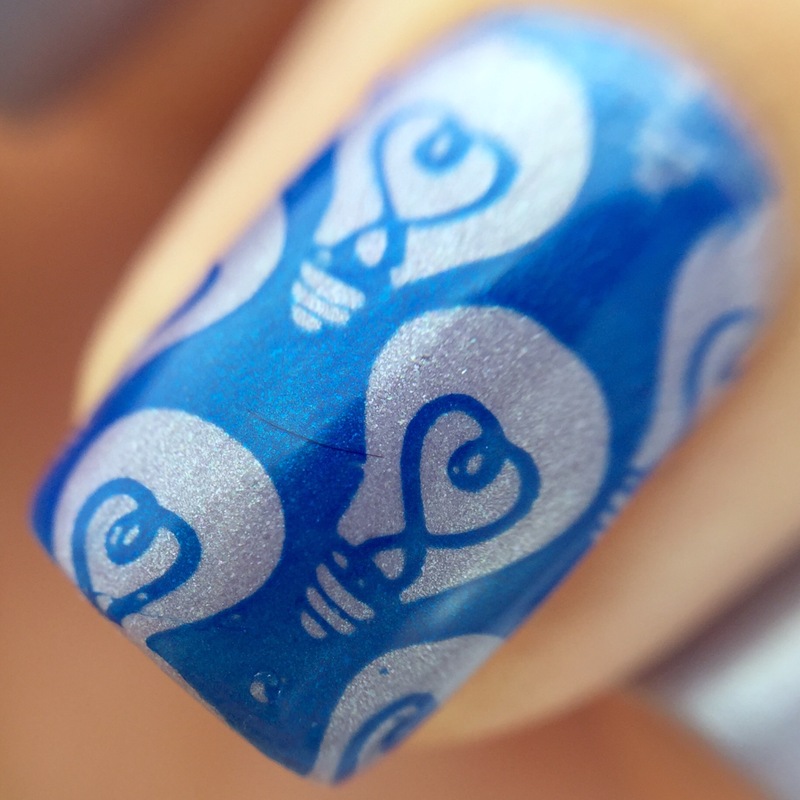 That lightbulb stamping is so cool!